Ultram is a pain reliever. Ultram affects chemicals and receptors in the body that are associated with pain. Introduced in 1995, no control was recommended based on review of its uncontrolled use in 40 other countries. However, once released in the U.S., abuse became readily apparent. It is addictive. It is a "non-narcotic" pain reliever. Large doses can interfere with ability to breathe, especially if taken with alcohol. Some controversy exists regarding the dependence liability of tramadol. 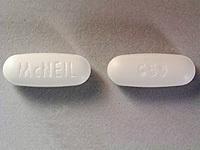 Grünenthal has promoted it as an opioid with a low risk of dependence compared to traditional opioids, claiming little evidence of such dependence in clinical trials. They offer the theory that since the M1 metabolite is the principal agonist at µ-opioid receptors, the delayed agonist activity reduces dependence liability. The noradrenaline reuptake effects may also play a role in reducing dependence. Despite these claims it is apparent, in community practice that dependence to this agent does occur. This would be expected since analgesic and dependence effects mediated by the same µ-opioid receptor. However, this dependence liability is considered relatively low by health authorities, such that tramadol is classified as a Schedule 4 Prescription Only Medicine in Australia, rather than as a Schedule 8 Controlled Drug like other opioids (Rossi, 2004). Similarly, tramadol is not currently scheduled by the U.S. DEA, unlike other opioid analgesics. Nevertheless, the Prescribing Information for Ultram warns that tramadol "may induce psychic and physical dependence of the morphine-type." itching, dry mouth, or sweating. Symptoms of a Ultram overdose include difficulty breathing; shallow, weak breathing; and seizures.